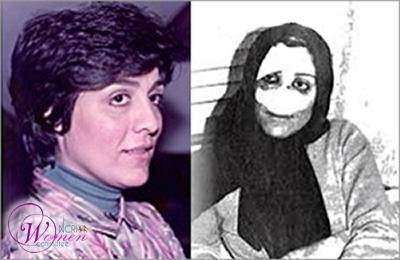 Shahla Hariri Motlagh was one of the resistant women whom the executioners held a particular hatred against. She was in charge of one of the polling stations during the first parliamentary elections in 1979 when Massoud Rajavi, the Iranian Resistance’s leader, was running for candidacy. She was attacked by the Iranian regime’s vigilantes during this time and became hospitalized shortly after. A picture taken of Shahla during Massoud’s visit to the Mojahedin’s headquarter in Tehran was published in the resistance’s newspaper and this caused great turmoil. Shahla was Dr. Iraj Fazel’s wife, the Minister of Health during Rafsanjani’s presidency, Khomeini’s personal doctor and a devoted agent of the Iranian regime. The regime’s intention was to aggravate the Mojahedin’s situation by creating problems through Shahla’s husband whom she was able to successfully expose their plans from. When she was arrested, she was charged with despicable accusations.